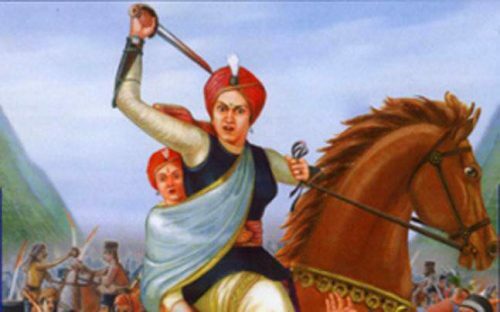 Chandigarh : Students of Panjab University paid tribute to Brig Kuldeep Singh Chandpuri and Rani Lakshmi Bai Ji in the evening at Student Centre . Daler Singh, Vice President and Vipul Atray Joint Secretary of Panjab University Campus Students Council (PUCSC) were present with Meet Hayer A young MLA from Barnala on the occasion to remember these two real heroes of our country. 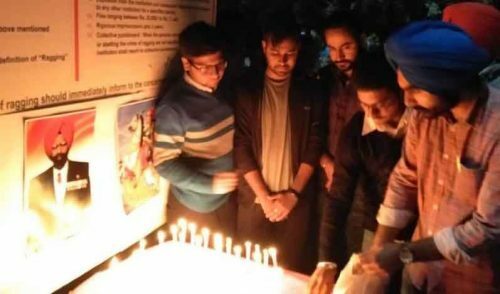 Vice President PUCSC, Daler Singh said that such unique bravery exist only at the soil of India and urge the youth to choose role model between such real heroes and heroes of reel life. Vipul Atray, Joint Secretary of PUCSC said that these legends never dies and always live in the hearts of every Indian. He also quoted that their lifes in forms of saga of bravery, guide generations of our nation. Mohit Sagar, a student of pharmacy, put light on life of these two real Indian heroes and urge youth to take pledge that they will channelize their energy for prosperity and development of nation and society.